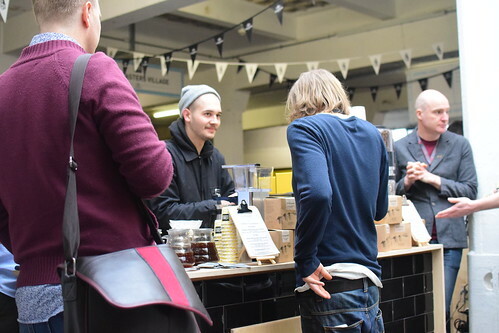 This years London Coffee Festival was bigger than ever, sprawling out across 3 full floors – 4 if you count the split level downstairs – making it hard to know what to do, where to do it and in what order, such was the variety and diversity of coffee related experiences on offer. There’s a guide, for sure, there’s even plenty of information in it, but with well in excess of 200 odd stands it can still be a little overwhelming. The only advice I could give is to go with the flow, on some occasions it will be your only option. 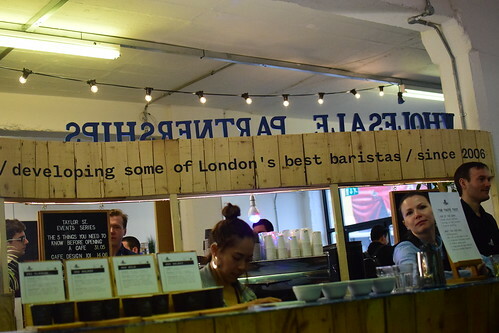 Almost parked in the entrance way was Square Mile’s stand, bastions of the London specialty coffee scene and there they were, deservedly celebrating their 10th birthday. 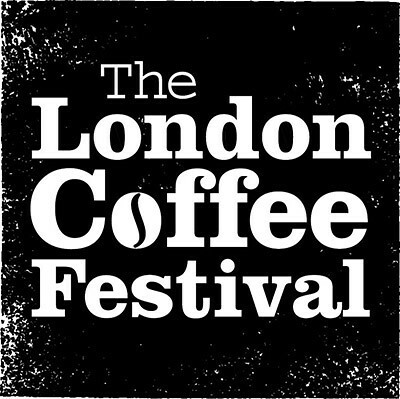 A remarkable feat, that was echoed by their ability to always bring a new and exciting format to London Coffee Festival. 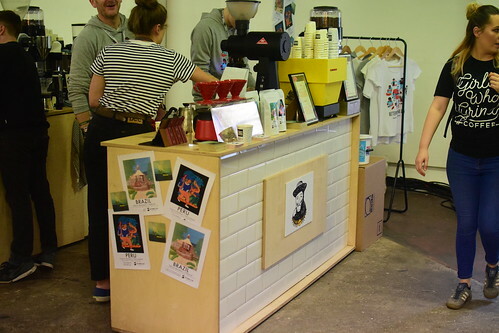 Featuring a ‘Cap-Man’ arcade machine, that oh so familiar of fairground formats the ‘beancounter’ game – guessing how many coffee beans were in the hopper – and a triple taster of batch brew for the ‘Guess The Origin’ game. With my palate fresh from a morning of coffee abstinence, it seemed like the perfect time to give the ‘Guess The Origin’ a go. 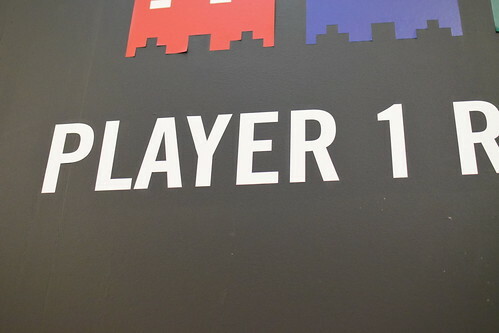 I’ll start by saying that these games rarely go well for me, it’s probably because I’m rubbish at them, but if I had a complaint – which will sound awfully like an excuse, probably because it is one – it would be that much like hand ground coffee brewed in a French press, I find festival batch filter for these games often tastes fairly similar in comparison to say hand brewed coffee being showcased on a good roasters stand, which often sparkles of individuality. 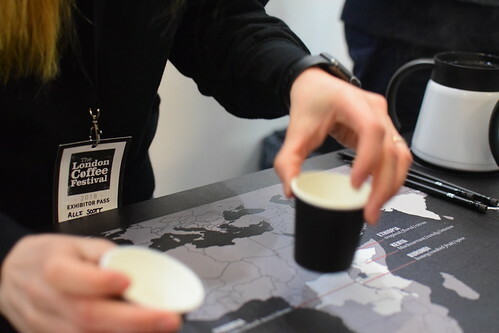 Anyway, I digress, there were three coffees to sample, in reference to a world map listing the origins and the flavour profiles and the only clue was that they drank from least acidic to most acidic. Even with the information laid out on the table, I struggled to place them, eventually settling on 3 answers that were completely wrong. I’d of felt better if the guy stood next to me hadn’t got 1 right and changed another of his answers last second from the right one to a wrong one. Essentially he got 1.5 out of 3, I on the other hand got a big piece of humble pie to take with me, as I searched out some more coffee. 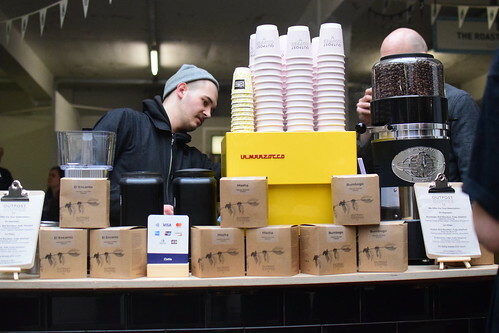 Meandering through an unusual route, taking in the goings on and generally having a wander, I slowed to a stop at Taylor Street Baristas to try the four filters they had on offer. I’ve not tried much of Taylor Street’s coffee before, which is unusual given how often they’ve been present at festivals I’ve been to, so now seemed as good a time as any to start. In order to be accessible and cater more specifically to your tastes, TSB split their coffees into categories, so that you don’t have to. 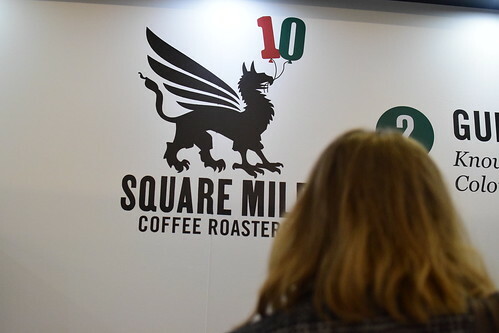 On offer were four archetypes, Classic, Golden, Wild and Select, which were designed in a manner to be coffee-like, sweet, fruity/acidic and something a bit rarer, of higher quality. Tasting my way through the range there was an archetypal Brazilian, which made for a great everyday coffee, a somewhat forgettable Costa Rican if my memory serves me correctly, a wonderfully acidic Colombian with flavours of red fruits – which was my favourite – and a refined coffee from Panama that would present well in a one cup format. It maybe wasn’t so surprising that I had a preference for the ‘Wild’ coffee, taking a shot in the dark, it would have been my go to before tasting. 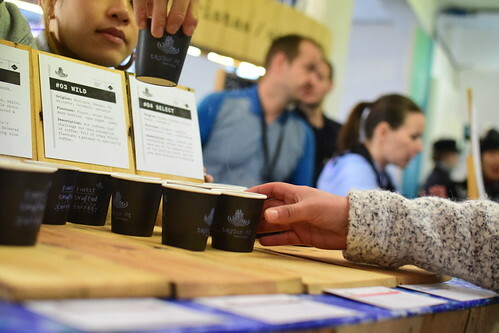 With distinctive wild coffee on my mind I was drawn in by Outpost Coffee Roasters and my experiences of their often highly individualised flavours – their natural processed Rwanda Kilimbi the year before, was probably my festival highlight. This year was no different, with two filter offerings, a somewhat accessible washed bourbon variety from Masha, Burundi and a slightly more unusual washed Tabi variety from El Encanto, Colombia. After some conversations about getting the water right to bring out the flavours of these individual coffees, I was handed two cups to try. 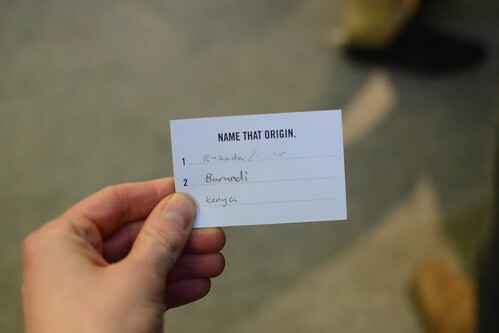 The Masha, Burundi was as advertised, a citric style coffee with a rhubarb like acidity, distinctive, sweet and only mildly unusual, just accessible enough to make it through a whole bag drinking black filter. The El Encanto, however was noticeably unusual in its expression, with floral base notes and a green tea like flavour that made for a highly distinctive single cup. 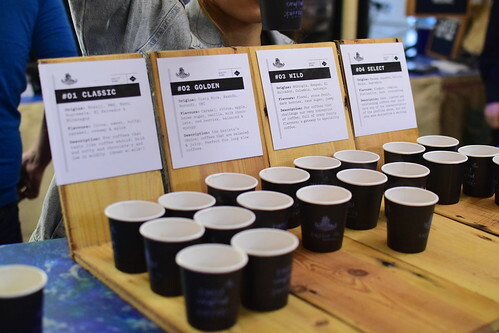 I’ve not tried Tabi before to my memory and I’m not sure how much the varietal was responsible for the flavour, but the farm responsible for producing the coffee is currently trialling a lot of different varietals to see what works best, you can read more about it here. Still early in the day, I was browsing around for some more filter coffee and so headed in the direction of the Roasters Village, coming upon Clifton Coffee Roasters. 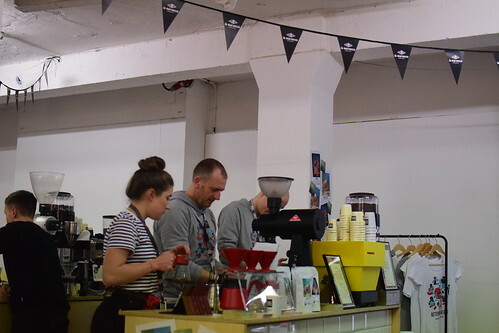 Where they had a washed and a natural Ethiopian to try, two classic coffees, which if I’m honest I never really tire of. Starting with the washed, it was a pleasant fruity, but more delicate cup of yellow flavours and tea like qualities. Moving on to the natural, the Burtukaana Lot 4, this was a fuller more exciting and vibrant coffee with big sweet blueberry berry flavours with a slightly tannic savoury note in the finish, which Clifton describe as Motueka hops. Describing my preference for the natural, I was sent in search of Clifton’s other stand located round the corner with some hints that I might find something rather exciting. 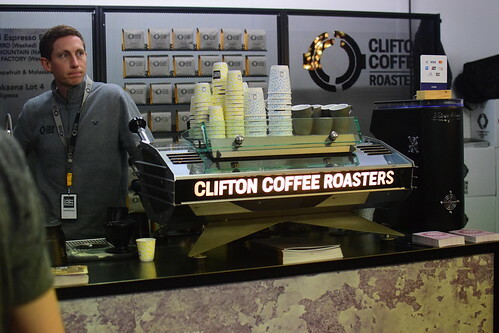 Arriving at Clifton’s second stand – as if one LCF stand isn’t enough – I was greeted with a cup of the Finca Hartmann washed Marogogype from Panama, which while a fantastic coffee – I’ve tried it many times before, to much delight – It was not the hat tip secret I’d come looking for. Fortunately I’d arrived in rather good timing, as there was a coffee brewing on the bar, which was creating some fervency. Clifton had secured a 20 day ferment geisha from Panama, which was strictly ‘black label’ and they’d been lucky enough to secure all of it. I was passed a small sample and bringing it to my nose to take in all the aromas I took a large sniff and nearly choked on the intensity and pungency of the aroma. There was an unmistakeable pineapple aroma, but it was strong, real strong. Taking a sip, this was no ordinary coffee, it was something of the sublime and the ridiculous all at the same time, funky, smoky pineapples, unmistakeable, flavoursome, but not exactly the refined tea notes of your usual geisha. It reminded me a lot of Duffy’s Dominican Republic Taino chocolate bar, given the similarities I’d be interested to try both together, so I’ll be keeping an eye of Clifton’s retail section. A few steps away I thought I’d finish off the better part of my morning trying some more filter, this time from Butterworth and Son, rarely having had chance to try their coffee. 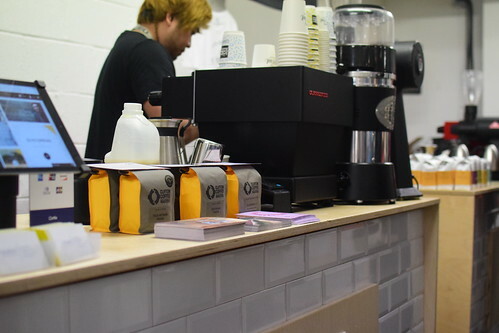 Somewhat disorganised, but charmingly they offered me a choice of filters between a Peruvian they were using as filter and espresso and a natural processed yellow bourbon from Brazil. Having had some good recent experience with seasonal natural Brazilian coffees, I was interested to try a yellow bourbon variety to see how it matched up. It was, as I sipped it, a rather typically sweet Brazilian coffee, but with a really sunny disposition and a noticeable acidity that helped to make it really rounded, proving that natural Brazilian coffees aren’t to be overlooked. 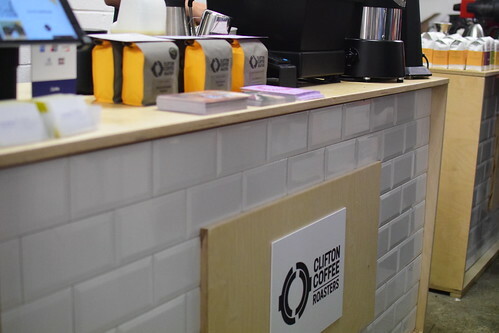 This entry was posted in coffee, Coffee Roasting, Coffee Tasting, London Coffee Festival, Uncategorized and tagged Butterworth & Son, Clifton Coffee Roasters, Coffee, London Coffee Festival, Outpost Coffee Roasters, Square Mile, Taylor Street Baristas by commoditiesconnoisseur. Bookmark the permalink.